2) What have been its most successful activities or campaigns, and how have you measured that success? Over 75,000 individuals and 500 organisations from 173 countries worldwide have signed the pledge, committing to work with us to nonviolently end all war. The pledge is a tool for movement-building, to show the strength of our people power in numbers as a global, grassroots network of war abolitionists. World BEYOND War’s main event of the year is our annual #NoWar Conference, held yearly on the International Day of Peace on September 21. 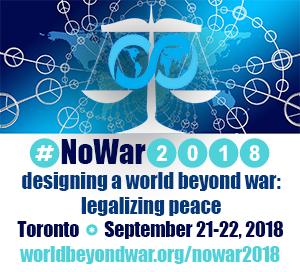 #NoWar2018 in Toronto, this September 21–22, marks our 3rd annual conference since our founding in 2014. 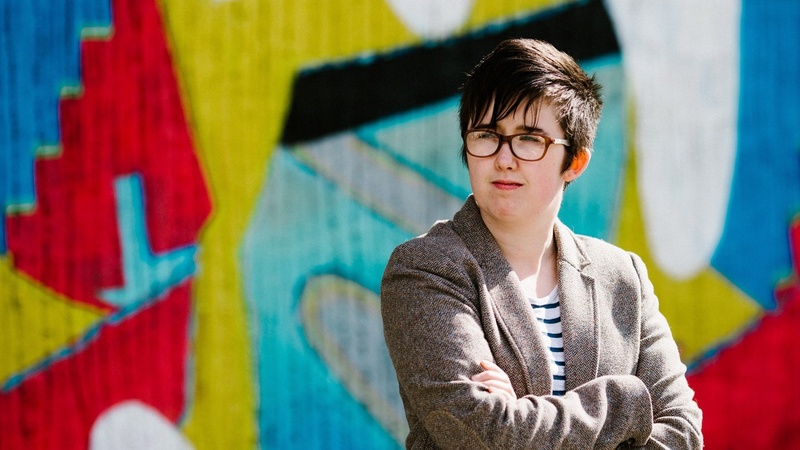 The conference is an opportunity for peace activists and advocates, leading experts and educators, and allied organisations in the war abolition movement to come together in person to learn, brainstorm and strategise for the work ahead. 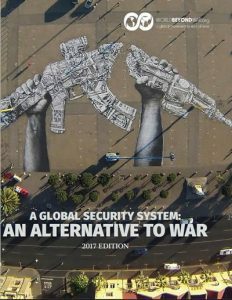 At the conference each year, we release an updated edition of our book, A Global Security System: An Alternative to War, first published in 2015. The book is the manifesto that encapsulates our mission and purpose. It provides the framework for how to build an alternative security system – one in which peace is pursued by peaceful means – to replace the present war system. It describes the ‘hardware’ of creating a peace system, and the ‘software’ – the values and concepts – necessary to operate a peace system and the means to spread these globally. In addition to our book, World BEYOND War has implemented a number of online educational programmes for the public, such as our study and discussion guide, webinar series and online courses. 3) We’re hearing about worrying advances of the far right across the Western world. What implications would you say this has for wars and for activism against war? War is an issue that impacts everyone on earth, across the political spectrum. 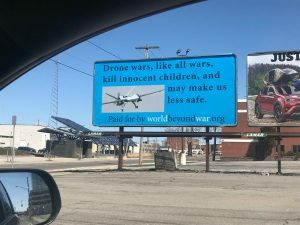 In the war abolition movement, I think we have a unique opportunity to collaborate across the political aisle by demonstrating that the war system threatens every aspect of our lives. 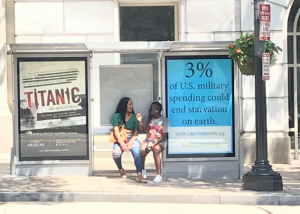 The $2 trillion that the world spends annually on war could be reallocated to a number of alternatives, whether one is an advocate for universal health care and renewable energy, or lowering taxes and cutting government spending. Either way, war drains our economy, and in fact leaves warmongering countries, like the US, less safe rather than more safe, because war fuels blowback from countries that are attacked. Our primary job is to counter the propaganda spread by governments and the mainstream media, and to educate people about the true ‘cost’ of war (in terms of dollars, lives, national security, the environment and civil liberties), because, in these ways, everyone, across politics, race, gender, religion and nation, is impacted by the war system and thus must advocate for its abolition. In fact, Trump ran on a platform countering ‘interventionism’ and regime change, which shows that people across the political spectrum are sick and tired of wars – and see that wars are ineffective, and a drain on our tax dollars and resources. 4) How did you come to be doing this work? 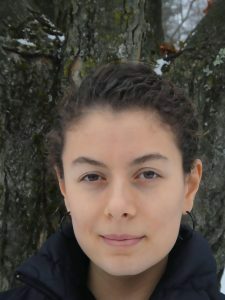 Having grown up in an organic food store owned and operated by my parents, I have always been passionate about food and the environment, and the intersection of ecological and societal issues facing our species and planet. This passion led me to vegetarianism and veganism, sociology, organic farming, and later to environmental community organising for the non-profit organisation Food & Water Watch. 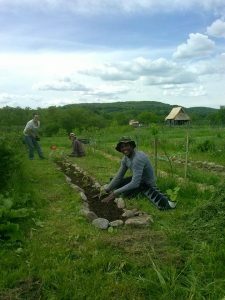 When I decided to become a full-time organic farmer and off-grid homesteader, I was looking for remote work that I could do online and found World BEYOND War, which, as a global, grassroots, decentralised network, allows me to work via computer and do virtual community organising, connecting people around the world! World BEYOND War’s mission resonated with me because World BEYOND War’s work illustrates how war and militarism are at the nexus of social, economic and environmental injustice that we’re facing as a society. The institution of war is really at the heart of these issues, and by dismantling the military–industrial complex, we can then reallocate the $2 trillion spent annually on war, and preparations for war, to other, more pressing issues such as renewable energy, clean water, organic farming, education and health care. 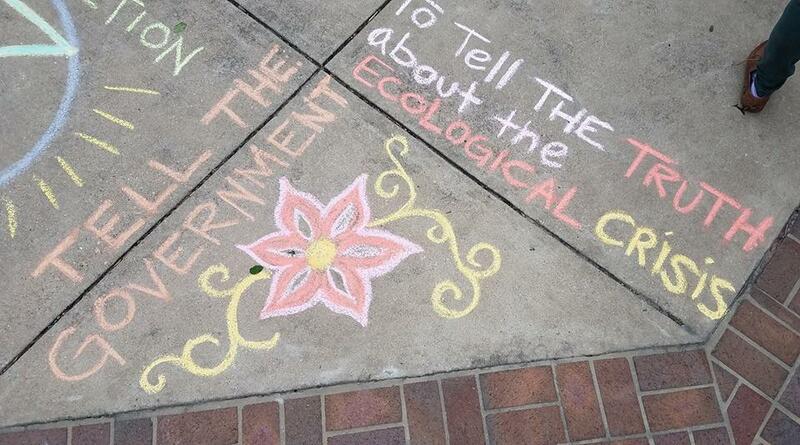 5) What are your goals for your future activism (with World BEYOND War or in other areas)? 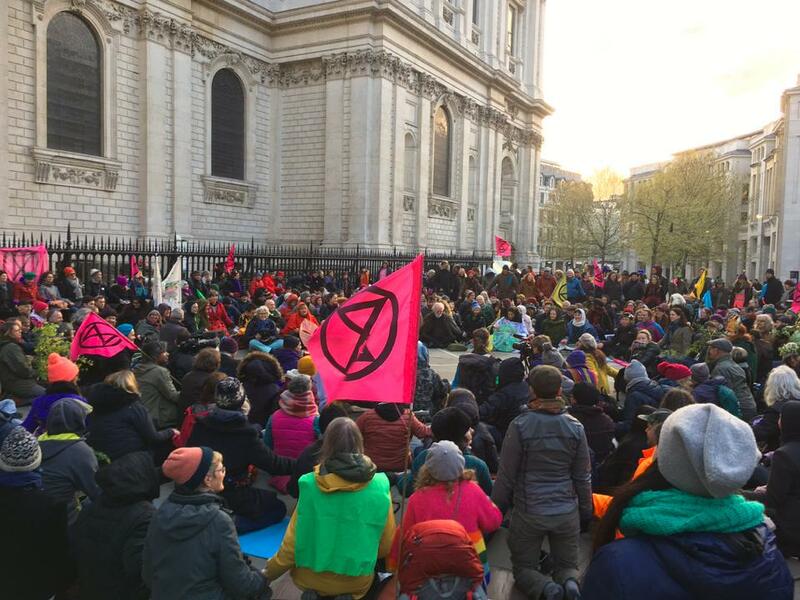 With the revival of the Poor People’s Campaign (PPC) this year, we’ve seen a renewed recognition of the need for fusion organising, or interdisciplinary activism. As a partner organisation in the PPC, World BEYOND War addresses the multi-sector implications of the war system (e.g. 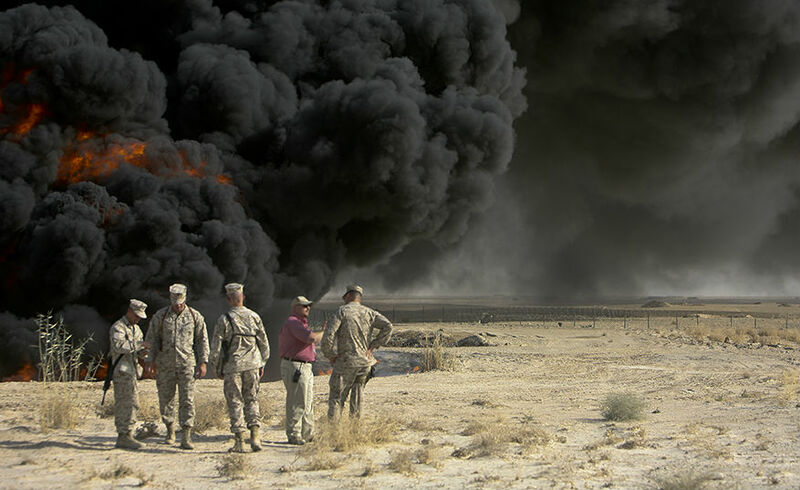 how war threatens the environment, erodes civil liberties, impoverishes us as a society, etc.). 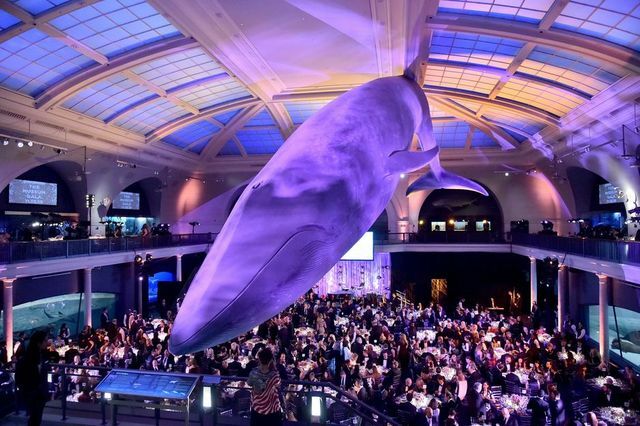 In looking forward to 2019 and ahead, one of my goals is to foster increased coalition-building across sectors, to illustrate the way in which the war system is the elephant in the room impeding progress on other issues, such as racial, economic, social and environmental justice. Another goal is to increase awareness about the numerous ways that we as individuals are complicit in the war system – no matter where we live and how far, or close, we are to the ‘battlefield’ – and, connected to that, the very real and tangible ways that we as individuals and communities can take action to disentangle ourselves, such as war tax resistance and divestment. I think war abolition – the notion of ending all wars – can feel overwhelming and unactionable. But we can dismantle the war system from the grassroots up, by withdrawing our financial support, either by refusing to pay government taxes that fund militarism or divesting financial holdings from institutions that invest in military contractors and arms manufacturers. I think many people don’t realise the extent to which our communities may be unwittingly propping up the war system, when we, as individuals, municipalities, and institutions like faith organisations, universities, unions and employers, invest our holdings and retirement funds in mutual fund companies, like Vanguard, which in turn reinvest that money in weapons companies. So, a goal for the year ahead is to raise awareness about these tangible action steps and foster a widespread war divestment movement, building off of and collaborating with the growing fossil fuel divestment movement. 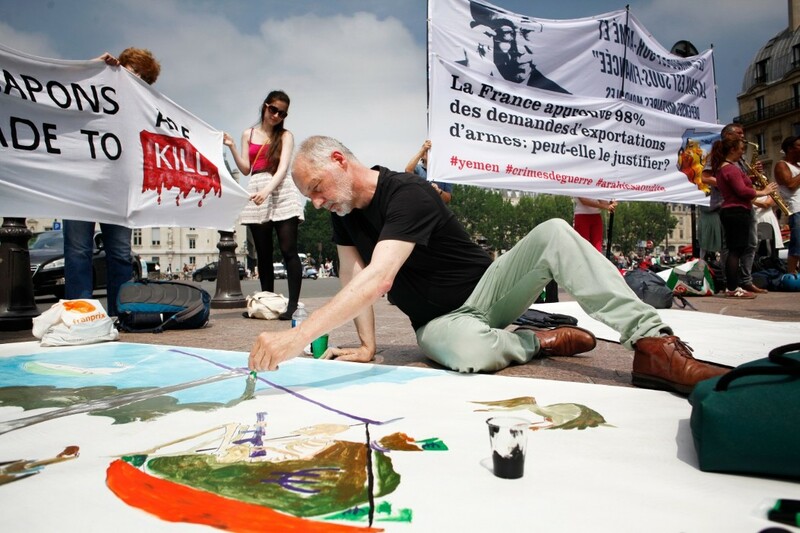 6) Which nonviolence activists (working in any area) do you admire the most and why? It may be clichéd to say, but honestly, Gandhi remains an everlasting inspiration for our movement! 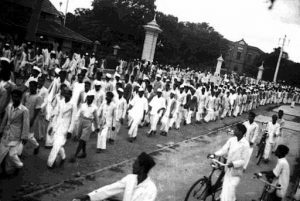 The way in which he was able to organise such widespread, society-level resistance is a textbook model for CBD (civilian-based defence). I think our movement needs to work towards organising this level of society-wide non-cooperation, which is one of the most effective ways to withdraw power from the governing elite. 7) Finally, what are the most effective actions ordinary people based in the UK can take to challenge the war industry? First, join the movement for a World BEYOND War by signing our declaration of peace, and find a local World BEYOND War chapter or affiliate near you, or create your own with the help of our resources and organising assistance. We can help you organise events, like a film series, book club and discussion group, guest lectures, and more. If you’re new to the anti-war movement, take one of our online classes, listen in on our webinar series, or read our book. A tangible, first action step is to use the Weapon Free Funds database to check if your investments or retirement funds are invested in the war industry, and if so, to reinvest those funds in socially responsible alternatives. 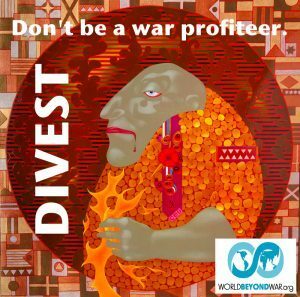 Contact us at greta@worldbeyondwar.org to start a divestment campaign in your community or municipality. And join us in person to hear from experts in the field, allied organisations, and fellow peace advocates, activists and educators for our #NoWar2018 Conference in Toronto on the International Day of Peace, September 21–22: Learn more and register. At the moment planet earth is like a vessel on the high seas in a severe storm. The strange thing is, that even the people most responsible for the mess we are in, ( the ceo s of the arms industry, neo-liberal economists, power hungry politicians etc, are in the boat with the rest of humanity ( and all of life) and will sink or sail into calm seas with the rest of us. The answer is not violent revolution. The answer is to open minds using peaceful means. Hey I took that pic of the billboard in Syracuse, NY from my minivan. Haha. Great info in this email I’ll keep it for future reference to some of your reading and audio materials. Have a great conference. Hi, Kim. Great photo! We used the image with permission from World BEYOND War, so I hope that’s okay with you. Thanks for commenting – really glad you find this post useful.